Juice cleanses and detoxes are not for everyone, especially if you love food as much as we do! 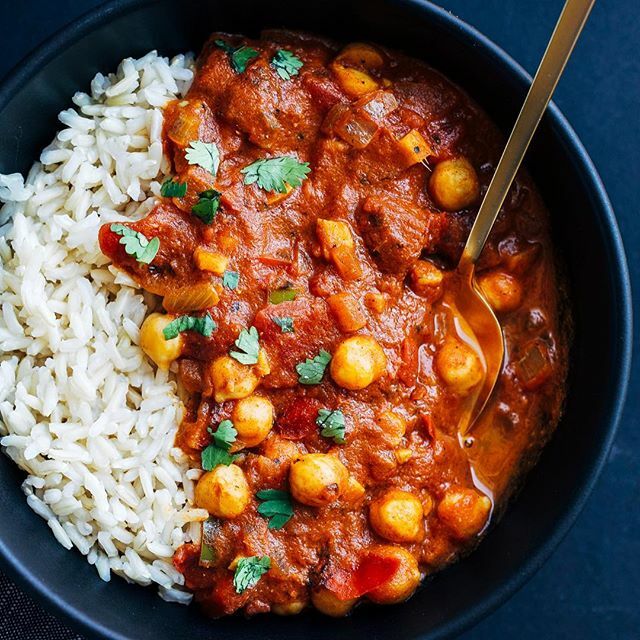 If the feeling is mutual, check out a few of our favorite healthy AND hearty meals to help you get back on track for the New Year, without sacrificing flavor or a full belly! Chili is one of those dishes that can go either way. Add tons of rich meat and pile on the cheese and it's not exactly health food. However, amp up the veggies, legumes or beans and you have a complete balanced and healthy meal perfect for cold winter nights! 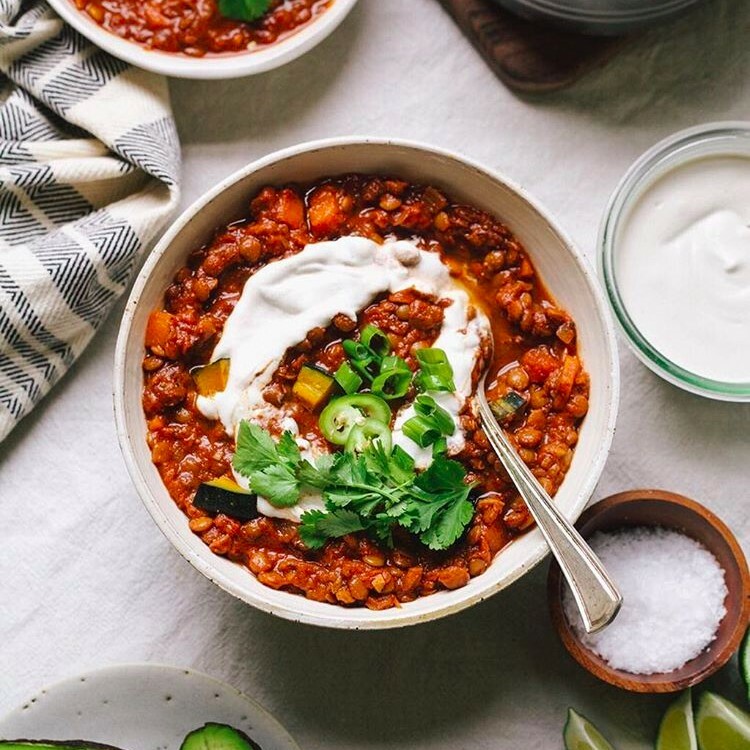 Made with smoky lentils and roasted winter squash, this vegan chili spiced with cocoa, cumin, smoked paprika and cinnamon will satisfy even the hungriest carnivores! 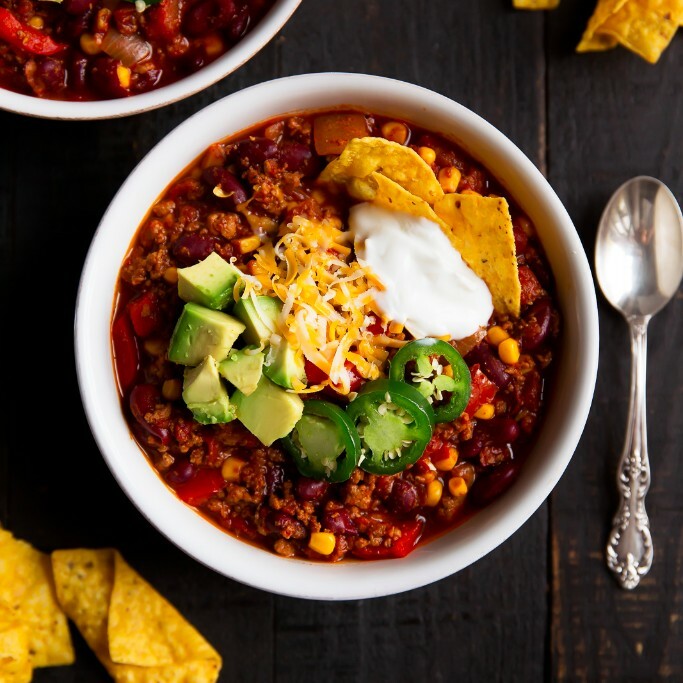 This turkey chili packs 30 grams of protein and 17 grams of fiber per serving! Who says you can't have nachos in the New Year? The base of these is made from cornmeal crusted cauliflower that is baked until crispy, then topped with a chocolate spiked vegetarian chili and spicy homemade pickled jalapeños! 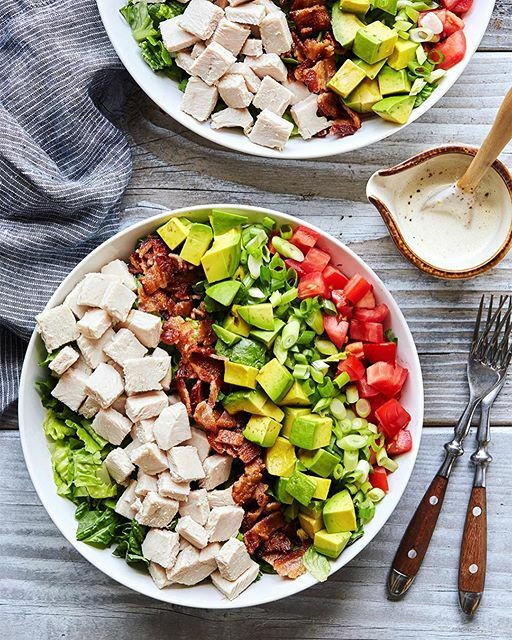 We know what you're thinking, "Salad for Dinner?! No thanks!" But these renditions will change your mind! 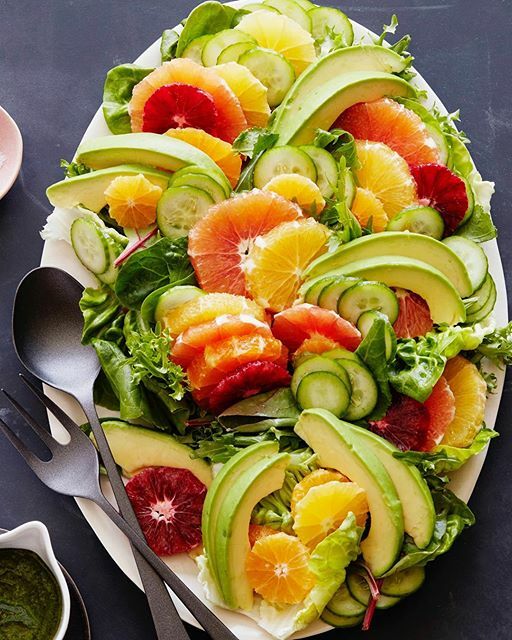 Getting your New Year greens is easy when they come in the form of this filling salad. Top with seared salmon or roasted chicken for a complete meal. 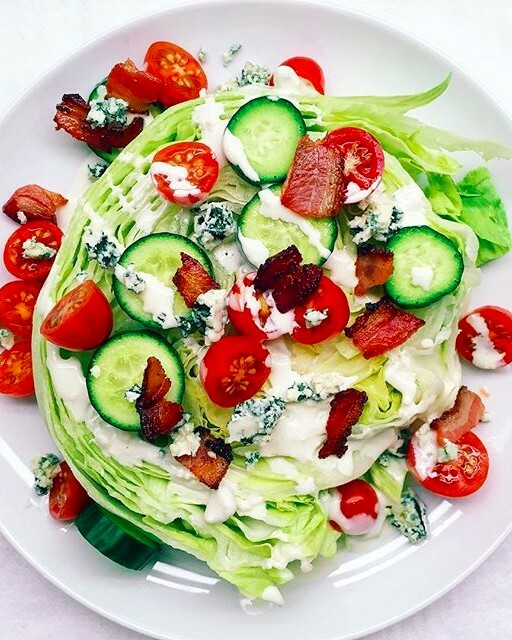 Okay, iceberg may not be the most nutritious lettuce option, but it certainly makes a tasty canvas for all of the amazing toppings in this clever riff on a wedge salad! 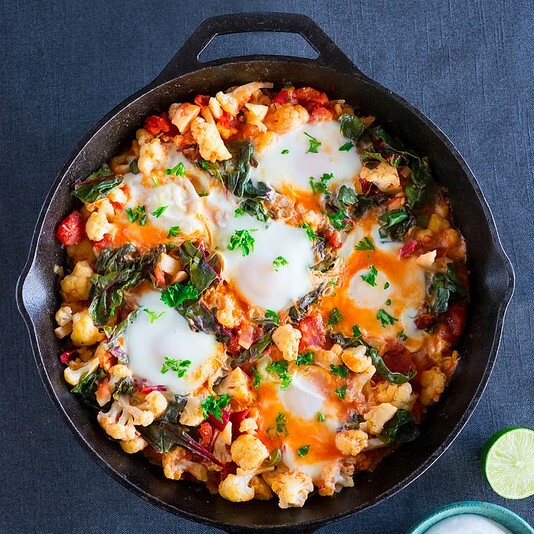 It's easy to stick to a healthy habits when recipes require just one pot or pan! 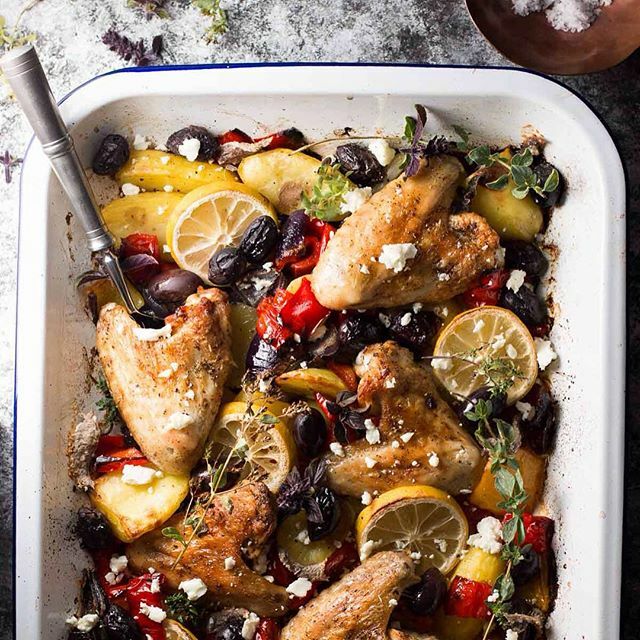 Just toss everything on a sheet pan and set it in the oven to roast and dinner is ready in less than an hour, with just one pan to wash! Just 30 minutes needed to pull together this one pot curry spiced with ginger, jalapeños, garam masala, cumin, smoked paprika & cayenne! When all else fails, make eggs for dinner! Baked eggs are super quick and easy, and are a great source of protein. Bonus points for adding lots of fresh veggies as seen here! Our original recipe for this creamy one pot pasta cooks using a similar method normally used in making risotto, however it's much easier and takes a lot less time. The bone broth will add great flavor & boost the protein! Trying to cut out dessert completely in 2017? If this is too tall a hill to climb, try these compromises! 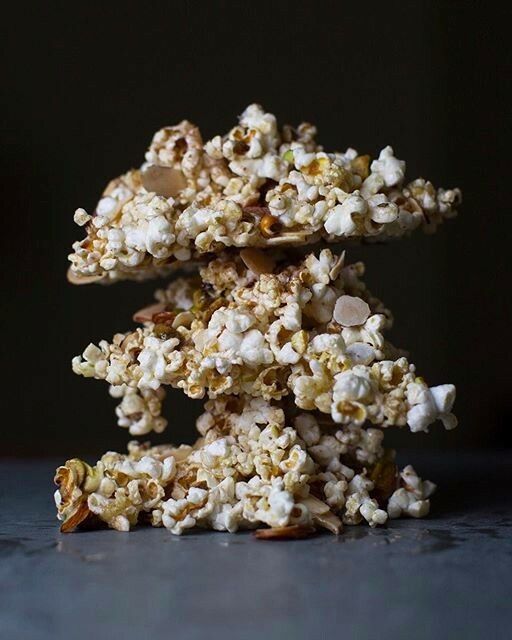 A healthy treat that takes just minutes to make! 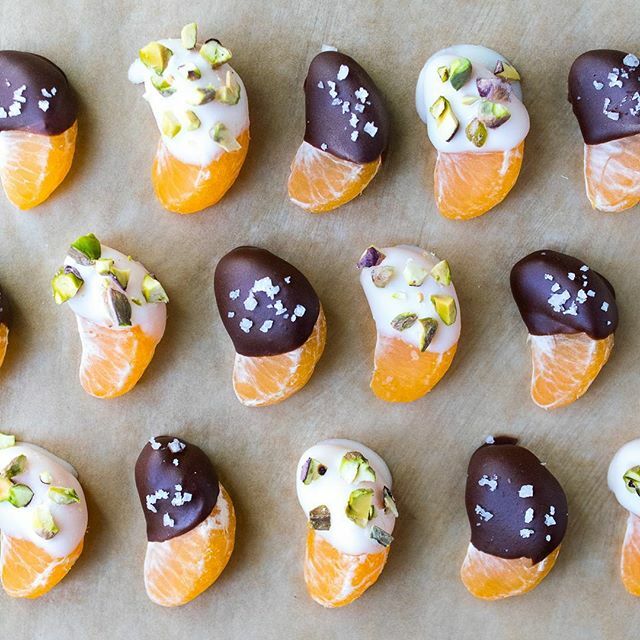 Experiment with different toppings to sprinkle on the chocolate and coconut butter before it sets like chopped hazelnuts, freeze dried berries, or even chopped candied ginger. 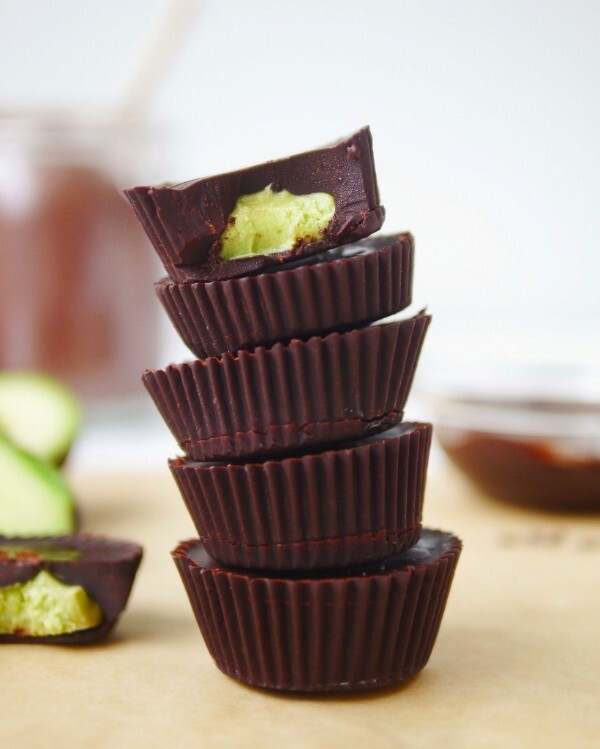 Vegan, refined sugar free and packed with healthy fats, these are a treat you can feel good about eating! A vegan caramel made from coconut oil and maple syrup binds this sweet & salty confection together. 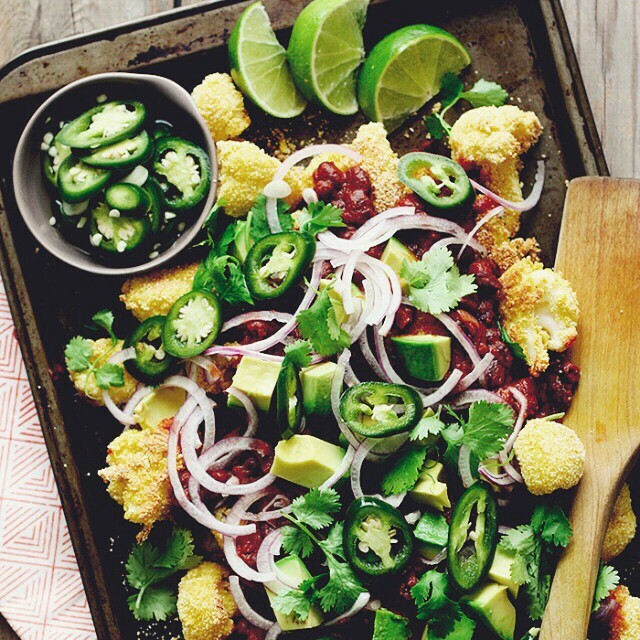 Show us your Healthy Homemade Meals for a chance to win! Check out all of the contest details here. 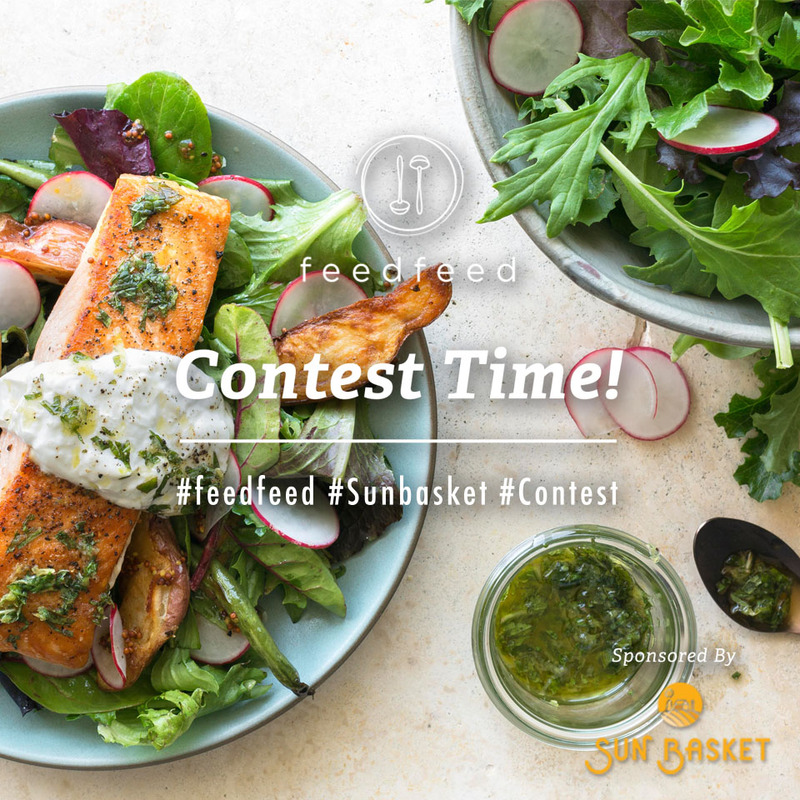 Plus, if you are ready to try Sunbasket, an organic & non-GMO meal delivery service, click here for three free meals!